High-end graphics capability is essential for a seamless VR experience. For professional VR experiences, frame rates need to be up to 90 FPS, handle large complex 3D assets and maintain rock solid reliability.Design the ideal NVIDIA Quadro VR workstation for your workflow at BOXX. NVIDIA Holodeck is the first photorealistic, collaborative, intelligent design platform for VR. Bring together colleagues and partners from across town or around the world to collaborate in real-time in a physically simulated environment that has amazingly accurate visuals and physics. Clearly visualize and interact with model-scale immersions of your designs in a powerful, way and you will shorten development timelines and reduce physical prototyping costs. To learn more, see a video demo, and apply to the NVIDIA Holodeck Early Access beta program click here. VRWorks™ is a comprehensive suite of APIs, libraries, and engines that enable application and headset developers to create amazing Virtual Reality experiences. VRWorks enables a new level of presence by bringing physically realistic visuals, sound, touch interactions,and simulated environments to Virtual Reality.With the right VR ready PC, the possibilities are endless. Virtual Reality creation and consumption requires the highest-performance graphics to deliver the smoothest, most immersive and life-like VR experiences. Only NVIDIA VR Ready designated Quadro graphics have the level of performance and capabilities essential for best VR experiences across professional applications.Get the ideal virtual reality PC and begin experiencing Quadro for yourself. 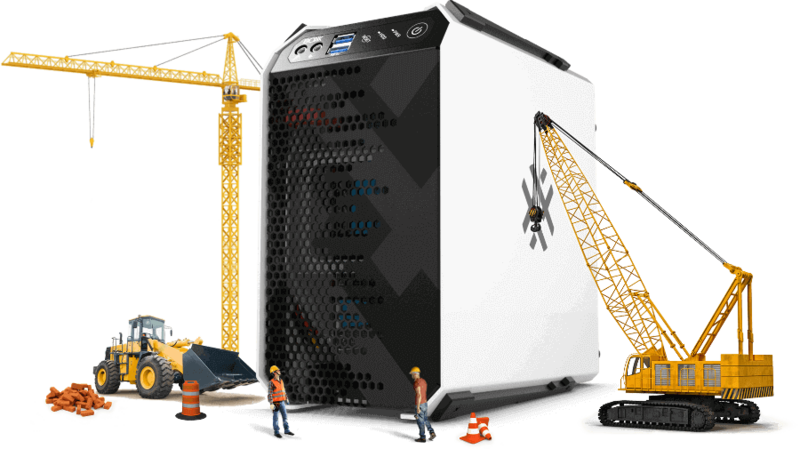 With a BOXX VR workstation, you’ll have the power and storage you need to create the most professional and life-like graphics available. Our virtual reality PCs are built to house multiple GPUs and are ready to be customized to the needs of your workflow. With this kind of processing power, nothing will slow you down. Whether you’re editing feature films or deploying cutting edge VR experiences, the APEXX X3, with support for up to three graphics cards and 128GB of memory, is an ideal platform for extreme multi-tasking in your complex production pipeline.